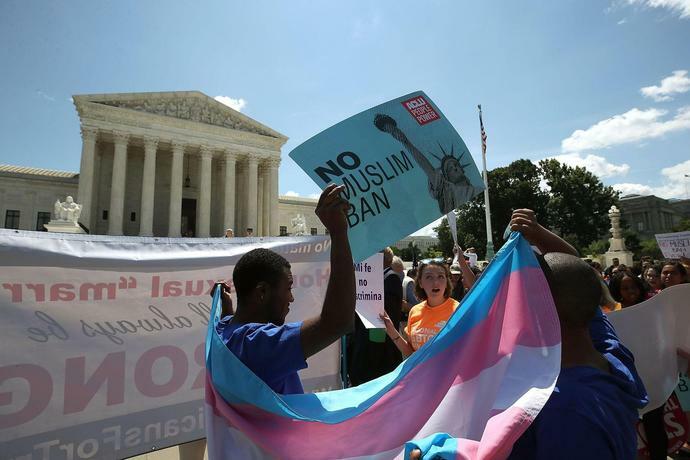 WASHINGTON - The Supreme Court handed the Trump administration a victory Tuesday by making it easier to detain noncitizens with criminal records. The justices reversed a lower court decision that required immigration officials to detain those immigrants almost immediately after their release from jail or prison, rather than months or even years later. Advocates for immigrants had argued that such detentions must occur within 24 hours. The 5-4 ruling was a victory for the court's conservative justices, who complained during oral argument in October that the government cannot detain every immigrant immediately - particularly when money and manpower are limited, and state and local governments may be opposed. in which the justices broke down along strictly ideological lines. Associate Justice Samuel Alito wrote the opinion and was joined by four conservatives. Associate Justice Stephen Breyer issued a dissent on behalf of the liberals. Alito sought to make clear that the ruling was not aimed at "extreme" examples of people picked up years after they have finished serving time, when they are leading law-abiding lives and have blended into their communities. Those immigrants can file individual challenges, he said. But it would be unreasonable, Alito said, for homeland security agents to "turn into pumpkins" at midnight on the day noncitizens are released, forever unable to detain them. Various deadlines suggested by the other side, he said, "are taken out of thin air." The class action case was brought by two lawful permanent residents who were taken into custody years after their release from prison. Both eventually received bond hearings and were allowed to stay in the country. During oral argument, American Civil Liberties Union lawyer Cecillia Wang said the law requires the government to detain immigrants on the same day their prison terms are completed. Several conservative justices said that was impossible. Kavanaugh said Congress sought "harshness" in 1996 to crack down on illegal immigration and would not have wanted limits on the ability to detain ex-cons.